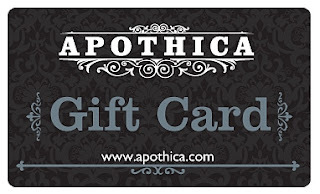 Babbling Brooke: Apothica Giftcard Giveaway!! Giveaway time!! 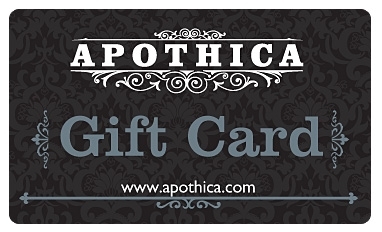 Today I have a fabulous giftcard to Apothica to give to one very lucky reader. Apothica carries tons of cosmetic brands, such as Too Faced, Clinique, SkinMedica, DuWop, and La Roche-Posay. They also offer free shipping for all orders over $49! 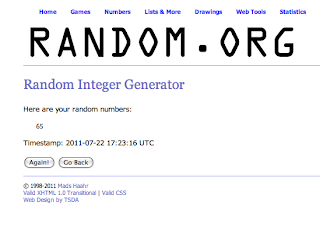 Please leave your name, email address, and how you entered in the comments form. 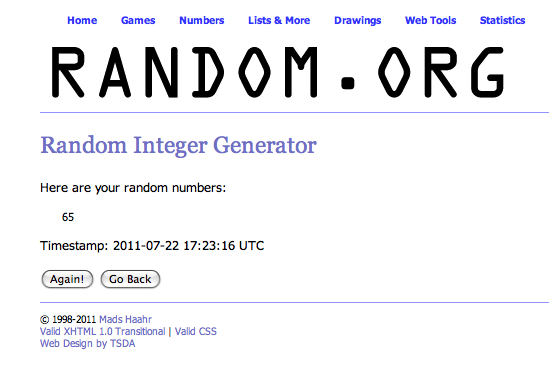 One lucky winner will be drawn after July 20, 2011 to win a $25 Apothica giftcard. This giveaway is closed. Congrats to #65, SunnyGal! I'm a longtime follower of your blog! I follow as Musicalhouses on GFC. I follow your blog under GFC. Name is BMR. Email is nailpolishcrazy@gmail.com. Thanks for having this giveaway! i enter by fb !!! I couldn't find how to subscribe to Apothica's newsletter though. Great giveaway thanks! I worte on Apothica’s Facebook wall. I wrote on Apothica's Facebook wall letting them know what I think (Emily Kim). I posted on Apothica's FB saying, "I love that you carry Deborah Lippmann polishes!" I wrote a blog post about Apothica and my fav brand you mentioned. I opted in the newsletter with the same email address! I wrote on Apothica's FB page with some comments, name is under Alia Bepary. *Bonus* I signed up to their newsletter. I wrote what I think of Apothica on their Facebook wall. I opted in to Apothica’s Newsletter. I retweeted Apothica’s tweet about this giveaway (@shala_darkstone).